Baby Bliss with Jordan & Chris: Ahoy! I always know Spring is here when nautically influenced clothing pops up on the racks of my favourite stores. Navy & white, khaki, brass and pops of red, nautical is one of my favourite seasonal styles. Nautical for kids is even better. What could be cuter than sailor stripes, teeny Topsiders and an anchor print? Eloise received some beautiful Petit Saint James clothing from her Grandma Pat for her first birthday. Saint James is a classic French brand that has been making striped Breton fisherman's sweaters in Normandy since the nineteenth century; their clothing is very nautical and very French, so it's pretty darn chic. 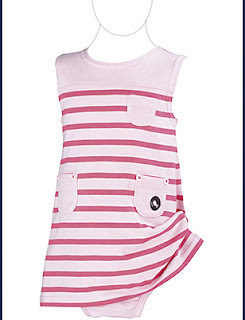 Eloise's Saint James wardrobe is all pale pink and magenta, I'd call it nautical with a girly twist. 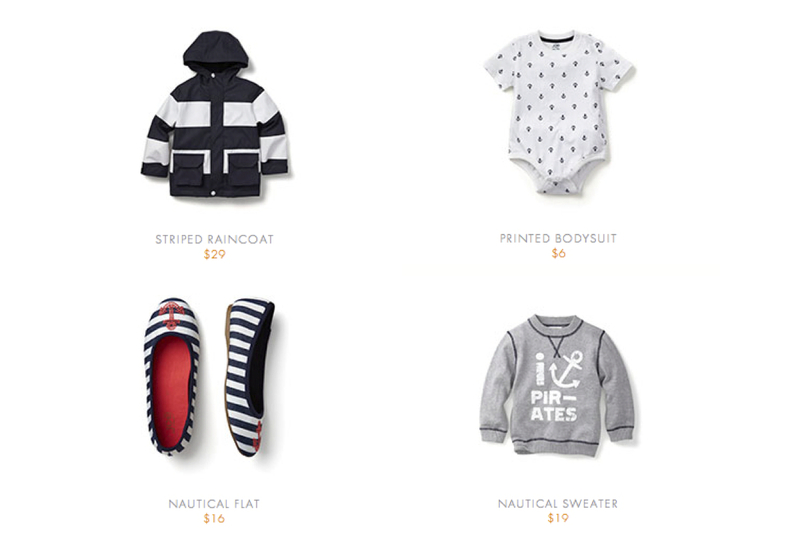 Joe Fresh is all over nautical for Spring and has some seriously adorable gear for babies and kids. My favourites are their striped raincoat, anchor print onesie, nautical flats and "I (anchor) Pirates" sweatshirt.